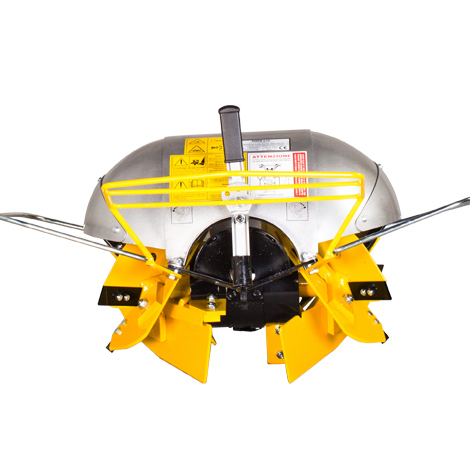 The Swivel Rotary Plow works similarly to the Rotary Plow, but instead of one plowshare throwing soil to the right, the Swivel Plow has a second plowshare that can be set for left soil discharge. At the end of each pass, a lever on the rear of the attachment allows for easy changing between the two plowshares. Each plowshare has four spiral blades that spin up to 300 RPMs on a vertical shaft, digging effortlessly into all types of soil—including hardened, rock-filled dirt that has yet to be broken. Debris is discharged to the left OR right side (not simultaneously), allowing the operator to build raised beds with multiple passes. 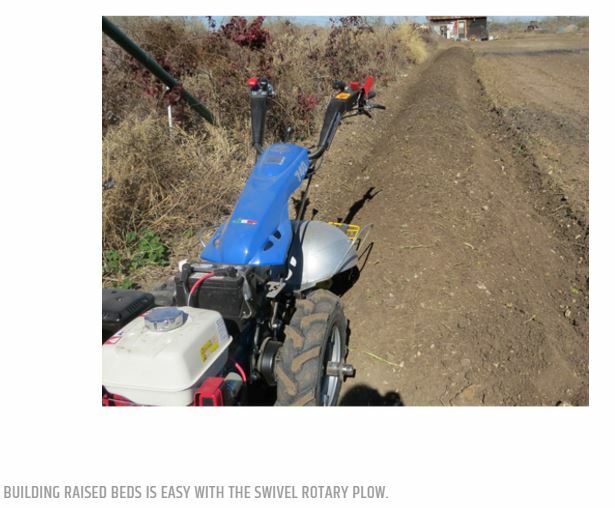 Like the Rotary Plow, the Swivel Rotary Plow can break new ground, power compost cover crops, build raised beds, create drainage ditches, and more. 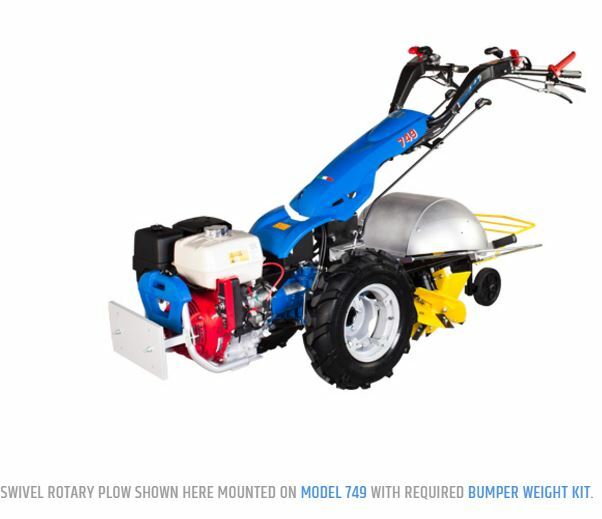 The Swivel Plow is designed for use on slopes, tight spaces, and extensive operations. This attachment is heavy at 150 pounds, which is why we recommend mounting a Bumper Weight Kit to the front of the tractor to help offset and balance the rear weight of the implement. 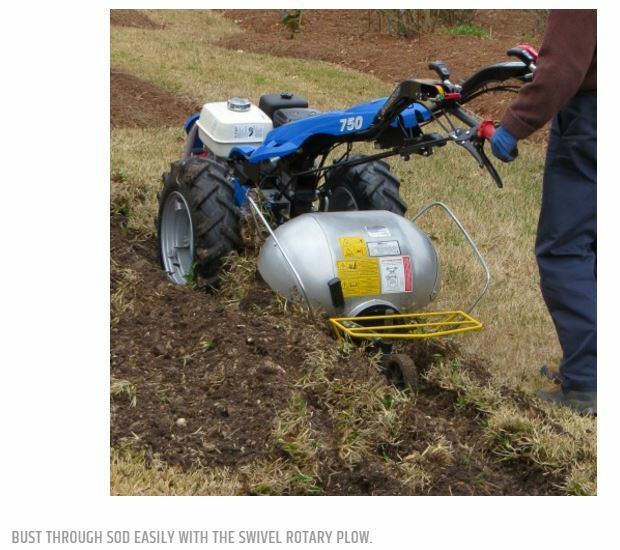 This makes it easier to turn at the end of the row and lift the plowshares off the ground when swiveling. Required Accessories: Wheel Extensions extend wheel width by 5 inches and Bumper Weight Kit. Two plowshares discharge soil to left or right. Lever allows for easy “swiveling” of plows for discharge setting. Great for hillsides, small areas, or extensive bed preparation. 150 pounds. Requires Bumper Weight Kit (not included). 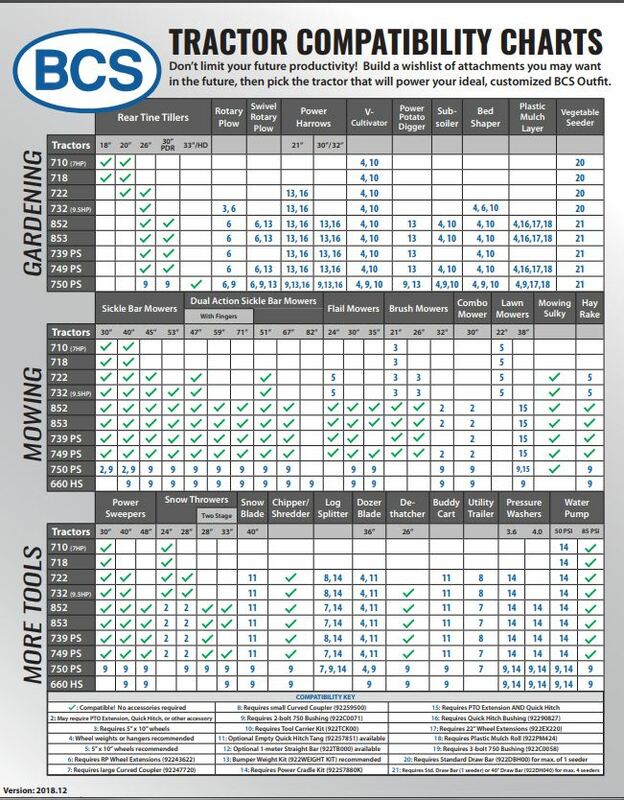 Each plowshare digs to depth of up to 12”. Adjustable depth wheel limits depth to as little as 6”. Fits models 732 and up.